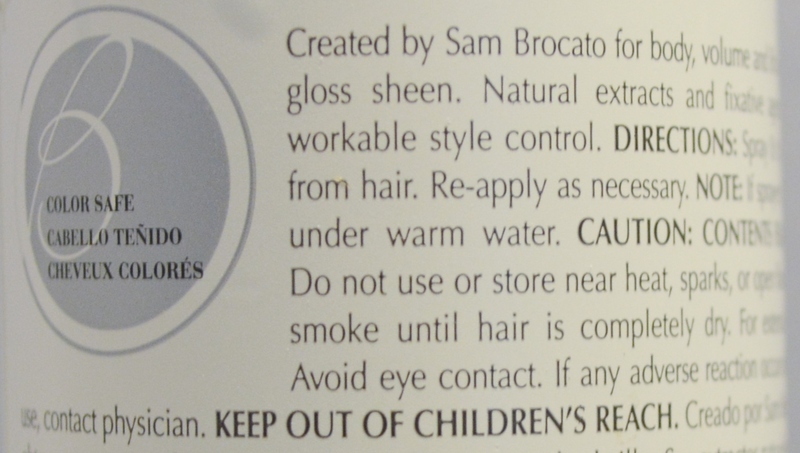 This Brocato hair product is a non-aerosol. Brocato Powerfix Firm Holding Spray Powerfix Firm Holding Spray is one of Brocato's Original 5 products. For workable control. During styling when hair is damp or after styling on dry hair to help achieve and set desired style. This spray creates body, volume and a workable hold with a high-gloss sheen. This non-aerosol hair spray will not build up on hair. Its humidity-resistant formula retains and controls your style all day. Dries quickly and gives hair maximum hold without build-up.